Becoming hospitalized, or having a loved one in the hospital, can be a frightening experience. 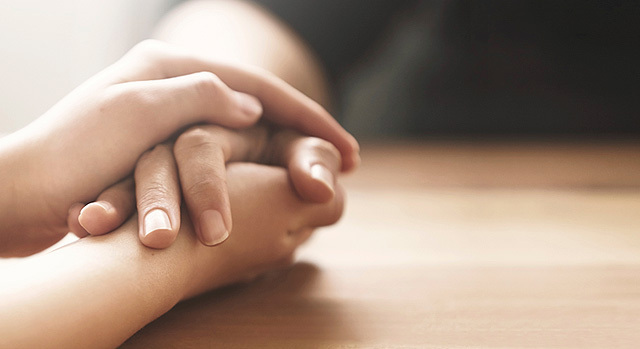 Often, it’s the comfort and spiritual guidance that people receive during these trying times that can give them strength to maintain hope and to get better. Available 24-hours-a-day, the chaplaincy team consists of volunteer clergy members, including Catholic priests, ministers, pastors, deacons and Eucharistic ministers. The program also includes representatives from the Laredo Church of Christ and several independent Christian churches. Representatives from other denominations may be called upon request. In addition to leading weekly worship services in the hospital’s Meditation Room, which is located on the first floor by ICU, members of the team are available to provide spiritual counseling to patients and their family members and friends, as well as hospital staff.